Russia is in the process of upgrading and expanding its fleet of Tupolev Tu-160 supersonic, variable-sweep wing heavy strategic bombers. 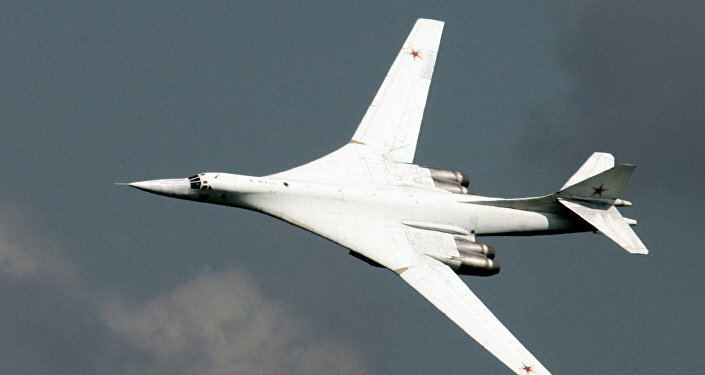 The Tu-160's new NK-32 engines will allow it to fly about 1,000 km further than with its present engines, Deputy Defense Minister Yuri Borisov said. Speaking to journalists during his visit to the Kuznetsov Plant in Samara on Wednesday, the senior officer confirmed that engineers had been working to improve the engines, increasing their efficiency by 10%, allowing for the subsequent range increase. "The plant is now finishing its work, and providing us with four experimental engines, which must confirm these technical characteristics. This year, Tupolev will conclude a long-term contract on the series delivery of the engines for aircraft which are to be delivered to [the military] beginning in 2021," Borisov said. Civilian Variant of the Tu-160 Bomber: Fanciful Notion or Golden Opportunity? The Kuznetsov plant is known as a leading manufacturer of advanced aircraft and rocket engine designs; in addition to the Tu-160, the enterprise builds and repairs engines for the Tu-95 and the Tu-22M3 strategic and maritime strike bombers. The company was tasked with improving the NK-32's characteristics in 2014. The Tu-160M2 is an upgrade of the Tu-160, a supersonic strategic bomber that first entered service in the twilight of the Soviet period. The updated M2 version of the plane has new engines, new avionics, communications and control systems, and various weapons upgrades, prompting some defense observers to characterize it as a new bomber in all but name. The Russian Air Force has 16 Tu-160s in service. All of them will be modernized to the M2 standard. Another ten Tu-160M2s are currently on order, with the first of these now undergoing testing and expected to enter into service later this year. The Tu-160 made its combat debut in Syria in 2015, where it carried out strikes against jihadist targets.